Students, keep this book within reach! 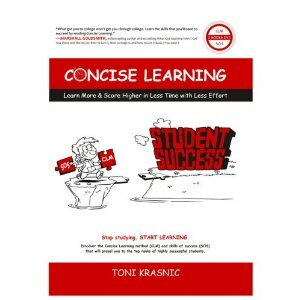 Comments Off on Students, keep this book within reach! Posted by Roy on Jul 20, 2010 in Announcements, Mindmapping | Comments Off on Students, keep this book within reach! Concise Learning is a new book (it came out yesterday) about learning with mind maps, but it’s a lot more than that. I was invited to critique this book, and I read it in late draft. In my opinion, it should be no more than an arm’s length away from the desk of every student starting college. It sets out a systematic five-phase study process, built on the principle that visualizing information makes learning concrete and generates interest. It describes how to organize the material being learned visually. It gives a method for critical thinking. It shows how to spot gaps in understanding and fill those gaps and it does all this in a highly motivating, visual, style. It reduces work by identifying key points early on – introducing the ‘question culture’ of the curious mind – and provides important questions that you can ask yourself to support critical thinking. I recommend parents give this book to new college students to read before the next semester begins. TechnoBabble finds 3D Topicscape – even has video! Why should SME leaders map out their ideas, information and projects?